Есть вопрос для Hotel Neo Court? Удобно расположенный в районе для интересующихся религией, посещения культурных достопримечательностей, посещения достопримечательностей, города Чиангмай, Hotel Neo Court обеспечит все необходимое, для того, чтобы гости смогли расслабиться и отдохнуть от дневной суеты. Отсюда, гости могут всецело ощутить преимущество удачного расположения и близости ко всему, что может предложить оживленный город своим туристам. Одним из главных достоинств этого отеля является то, что он расположен в непосредственной близости от множества достопримечательностей и памятников, таких как Храм Пхабонг, Wat Muen Nguen Kong, Вар Пхак Хонг. Hotel Neo Court также предлагает широкий спектр услуг, которые скрасят ваше пребывание в Чиангмай. Для комфорта и удобства гостей, в отеле предлагается бесплатный Wi-Fi в номерах, регистрация 24/7, хранение багажа, Wi-Fi на территории, парковка. Кроме того, номера оснащены различными удобствами, такими как Wi-Fi (бесплатный), кондиционер, письменный стол, балкон/терраса, вентилятор, чтобы удовлетворить даже самых взыскательных гостей. Помимо широкого выбора услуг для отдыха, предлагаемых в отеле, у вас останется много возможностей развлечься не выходя из отеля. Hotel Neo Court идеально подходит тем, кто ищет необычный, комфортный отель, с удобным расположением в Чиангмай. When we arrived the girl who checked us in was on the phone, she didn't bother saying anything to us just handed us a key and we were expected to find our room ourselves. We were given the wrong room and when we told the staff they didn't understand us, took some time to explain and a lot of hand gestures to get across what we were trying to say. When we paid the owner asked US 'how much'. Room was clean enough and location was good but I don't think many tourists stay here. Only good for a few nights and don't expect any interaction with staff, the young girl is completely rude and the older lady doesn't understand English. just don't book it. Trust me! It wasn't the best place to stay, not very clean, bad organistion... owner was friendly though. this accomodation stands almost in front of wat phra shingh as the most famous temple in Chiangmai. 7 eleven ,lots of casual restaurants are there within 2 minuets walk. In the court, tables and chairs, thermos bottle are there.Also they have kitchen,washing machine.and rental bicycles are avialble. 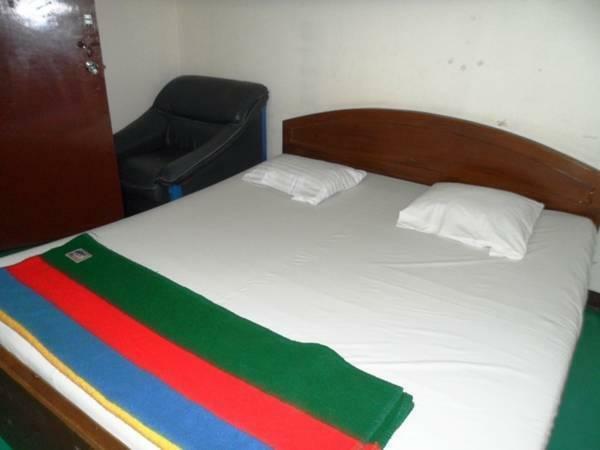 the room has a refrigerator,Tv with englsh channels,shower,large bed,furnitures. 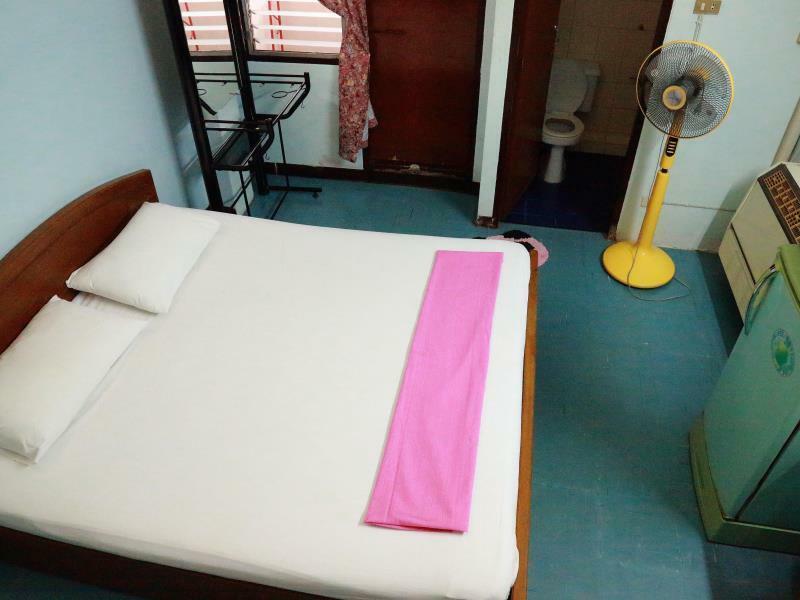 this accomodation is not new,but comfortable for long termstay. All of Staffs are very friendly,and coustermes also. I'm sure to come back again. good location, good price, friendly staff. Booked for 3 days ended up staying 1 week. If you need laundry there is a washing machine in the court. And cheap noodle soup in front of the street. due to only stay two nights, the hotel is very old, but very budget price, the owner was a very easy-going person but hardly see him there. it is very causal to stay there long, but if you are a stickler for neatness, i would not suggest to stay. Mr. Man, who manages Neo Court, is simply the best. Proficient in English and knowledgable about the culture and local attractions, you couldn't wish for a more enthusiastic and entertaining ambassador to Chiang Mai. He'll show you the local organic markets, impart helpful insights into the Thai language and culture (even the alphabet! ), and might also share some humorous perspectives on American pop culture. This hotel is very basic (e.g. only cold water shower, no tv) but it is relatively clean and in a good location in the old town near one of the main wats. Okay place to stay for a couple of days if backpacking and on a budget. They have a bicycle hire service which may be useful for some. Vi fikk et veldig bra tilbud, 330 Baht pr natt. Men Beliggenheten var ikke bra. Det var mye trafikkstøt og messing fra tempelet- Dårlig med service-tilbud. Men det som fantes var meget rimelig. d habitude on ne réserve pas si longtemps mais avec le nouvel an on a préféré assurer.nous sommes arrivés à 7h 30 du matin, les propriétaires nous ont ouvert à 8 h en pyjama. la chambre était vestuste, on a payé 15euros la nuit. le lit était dur et sans drap de dessus, la salle de bain avec un vieux rideau de douche déchiré qui la séparait du balcon; pas de porte. On est parti de suite et on a perdu 5 jours de réservation.On a trouvé pour le même prix un hôtel avec piscine et tres confortable. c est une auberge de jeunesse et non un hotel.La chambre devait être à max 300bath.on a trouvé mieux à 300bath à Chang rai. Adresse à éviter , chang mai à plein de gesthouse plus joli et plus sympa.